A- You can send multiple ITR V in one envelope, so that may not be the reason for your wife not receiving the confirmation. There may have been some other point that may have escaped your attention, so you should re-check the returns for any mistakes or omissions. A- Interest on fixed deposit in taxable but as per tax laws the basic exemption from tax to all residents (other than senior citizen) is Rs 2 lakh. Hence, there will be no tax if your income is below Rs 2 lakh even if the interest on fixed deposit is fully taxable. 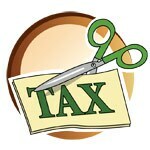 A- No, you are not in a position to claim the tax benefit since you are not the owner of house property. However, if you have given money to your wife for buying the property for initial down payment as well as all EMIs than you can claim under clubbing of income from spouse/wife. As per tax laws the ownership will be deemed on the basis of contribution in purchase cost and tax benefit can be allowed after possession. A- Investing a lump sum in equity mutual funds is not advisable as it doesn't offer you a spread of investing at various points in the market. If the market goes down post the period of lump sum investment you tend to lose from this strategy. Mutual fund houses offer this option called as Systematic Transfer Plan (STP) where you can move the entire lump sum amount into a liquid fund of a particular fund house and invest into the equity scheme of the same fund house on a weekly/monthly basis. This way, a pre-determined amount would be transferred internally from liquid to equity every week/month. Since your risk appetite is medium, you can consider directing the equity into a large-cap fund with a good performance track record which invests predominantly into bluechip companies with good business models. You can consider funds like the ICICI Prudential Focused Blue Chip, Birla Sunlife Frontline Equity and HDFC Top 200. You can also consider balanced funds like HDFC Prudence and ICICI Prudential Balanced. A- Although recurring deposit is a good investment tool, in the long run it does not help you beat inflation. Also, any interest earned from this avenue would be taxable as per your tax slab thereby reducing your net yield. I would suggest you invest in a combination of RDs and SIPs in equity mutual funds as this will give you a first-hand learning experience. For mutual funds, you can consider investing the amount in a couple of equity mutual funds. Any long-term capital gains arising from these funds would be tax free in nature which will help you earn a better return and will eventually lead to long-term asset creation which should be the objective of each individual investor. Mutual fund investments are subject to market risks and any investment done in equity should be with a horizon of at least three to five years. An individual should diversify his risk by investing in a couple of funds based on his risk appetite; one being a largecap fund which invests in bluechip companies with proven track record and a mid-cap fund which invests into companies with emerging business models and are next potential blue-chip companies. A- A Under a family floater plan, the premium depends on the age and health status of the eldest member of the family. Hence, a family floater will not be a cost-effective option for you as your father is 64 years old and ailing from diabetes and polio. Since your needs are different as a group, we advise you to consider an individual policy for your father and a family floater plan for you and your mother. This will help manage the premium cost. A- All health insurance policies come with a waiting period for certain pre-defined ailments that are covered only on the completion of waiting period. Cataract is usually covered after a waiting period of 2-3 years, depending on the plan you choose. Regarding the continuation of the coverage if you do not reside with your son, we recommend you to check the policy documents to ensure your policy coverage is not affected by residential location. Please note there are a few policies that charge differential premium with respect to the location while many other insurers don't. As the health insurance policy covers you and your son, we assume that it is a family floater plan. The premium of a family floater health insurance plan always depends on the age and health status of the eldest member of the family. The premium amount does not reduce over time but continuing such a policy certainly gives you benefits like no-claim bonus, free health checkups etc. A- The banks set limits based on many factors, namely: your disposable income, your transaction history, years of association with the bank, credit profile, bank policy and your current economic environment etc. The credit limit reduction initiatives are undertaken by banks under multiple circumstances. One of these is also to contain the transaction fraud risks associated with dormant cards. Generally, in such cases when it's a non-derogatory reduction, the banks will be glad to re-consider your credit limits when you present your repayment capacity in terms of income stability, etc. From a financial discipline perspective, it is not recommended that you hold credit cards that are dormant for a very long time. This is however not viewed as an adverse occurrence comparable to repayment defaults. 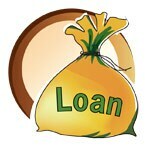 A- Pre-payment of loan does not imply any drop in ability or intention of disciplined debt servicing. Hence, generally, the credit score is unlikely to be negatively impacted by loan prepayment. Reduction in unsecured debt may actually influence your credit profile positively.